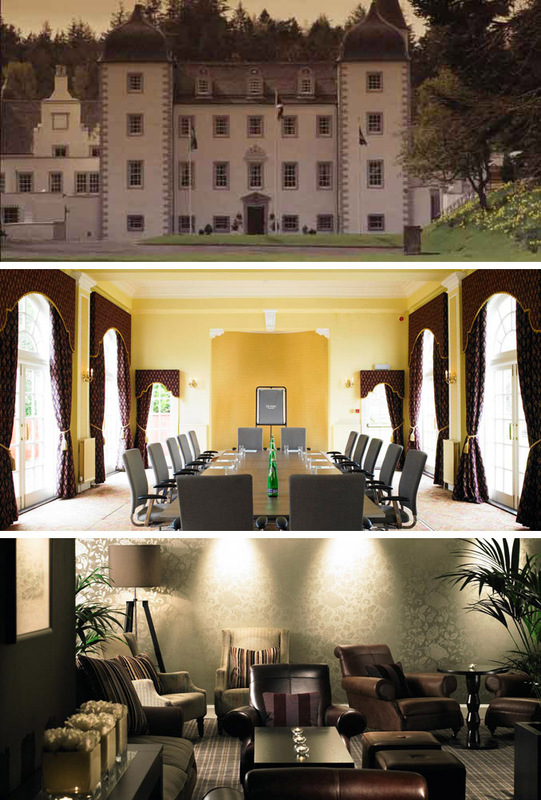 Behind the impressive stone facade of Barony Castle lies a modern hotel offering all the comforts of a welcoming Bed & Breakfast stay. Refresh your body and mind with some pure Scottish air and a walk in the gardens, relax with a sauna or a dip in the pool before enjoying a drink in the bar and sampling a local dish in our restaurant. Set in 25 idyllic acres of gardens and mature woodland, the castle offers magnificent views over the surrounding countryside and is the perfect base to launch your quest for fun in the local area. The castle is located just 35 minutes (17 miles) south of Edinburgh on the edge of the Scottish Borders.